Excellence introduce ei trax software for managing all the accounts payable and receivable documents. For over 40 years Excellence Ltd have supplied a comprehensive range of quality food products and ingredients to the Irish Foodservice industry. We have built a reputation synonymous with Quality, Choice and Value and in doing so have become one of the largest distributors of Ambient Foodservice products to the Irish Catering Industry. 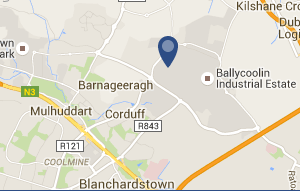 We are proud to be key suppliers to over 250 Wholesale, Cash and Carry and Catering customers across Ireland. We are also proud of the service we provide to our customers believing very much that service is the key ingredient in Foodservice. Excellence introduce TRAX software for managing all the accounts payable and receivable documents. With automtic scanning of proof of delivery dockets and in accounts payable the purchase invoices, Excellence are going paperless.